E-mail address: silber@infertile.com (Sherman Silber). Dr. Sherman Silber, a renowned pioneer in microsurgery and infertility, is considered one of the world’s leading authorities on IVF, sperm retrieval, ICSI, vasectomy reversal, male infertility, Y chromosome, tubal ligation reversal, egg and embryo freezing, ovary transplantation, and the reproductive biological clock. He performed the world’s first microsurgical vasectomy reversal, as well as the first testicle transplant, in the 70’s and now in the current century, the world’s first ovary transplant. He was the first to develop the TESE and MESA techniques for retrieving testicular and epididymal sperm in azoospermic men. He headed the clinical MIT team that first mapped and sequenced the Y chromosome in infertile men and discovered the now famous DAZ gene for male fertility. His research includes also the study of reproduction and fertility in zoo animals and endangered species. Most recently he has perfected the preservation of fertility for cancer patients with ovarian freezing and transplantation and thereby figured out how to extend the reproductive biological clock of women. He has helped pioneer minimal ovarian stimulation to reduce IVF costs. 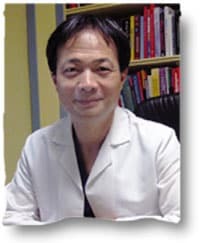 Dr. John Zhang graduated in 1984 from Zhejiang University School of Medicine in China. He was awarded his PhD from Cambridge University for his IVF studies in 1991. In addition, he also has a Masters degree in male infertility from Birmingham University, UK. He is a reproductive endocrinology and infertility specialist whose academic training includes residency training in obstetrics and gynaecology and a fellowship in Reproductive Endocrinology and Infertility in 2004 from New York University School of Medicine. Dr. Zhang is the director and founder of New Hope Fertility Center, an independent IVF facility in New York. Gentle ovarian stimulation protocols, such as ‘mini-IVF’, have several potential advantages over conventional IVF protocols, including less medication and fewer injections, producing fewer eggs, but eggs of higher quality. The particular ‘mild’ stimulation protocol called ‘mini-IVF’ is described. This protocol requires a reliable and cheap method for embryo cryopreservation such as vitrification, because of the negative impact of clomiphene citrate on the endometrium and since cryopreserved embryo transfers with this protocol have yielded much higher pregnancy rates than fresh transfers. In this series, patients were not denied treatment based on their day-3 FSH value or ovarian reserve. Yet very acceptable pregnancy rates were achieved even in older women, and women with low ovarian reserve (20% for fresh embryo transfers and 41% for cryopreserved embryo transfers). These results strengthen the argument for a mini-IVF protocol and vitrification as an alternative to standard conventional IVF stimulation protocols, both to lessen the expense, to eliminate complications, and to improve results for older women. The ‘mini-IVF’ protocol evolved with the intention of providing more natural stimulation for IVF. In this unusual protocol, clomiphene citrate, a competitive inhibitor of oestradiol, was used to stimulate the ovary by elevating FSH secretion of the pituitary gland. Continuation of clomiphene citrate beyond the usual 5 days was also able to inhibit the LH surge (Teramoto and Kato, 2007). Thus, a longer stimulation was achieved with clomiphene citrate and premature LH surge was prevented by the antioestrogen effect of clomiphene on the pituitary when the oestradiol began to rise. A very low supplemental dose of FSH was administered every other day from day 8. Once adequate follicle development was noted, a nasal spray of gonadotrophin-releasing hormone agonist (GnRHa) was administered to trigger an LH surge for the final maturation of oocytes. Gentle ovarian stimulation protocols have been shown to have many advantages over conventional ovarian stimulation protocols. There have been several reports of improved egg quality in IVF protocols with less medication (Baart et al., 2007; Collins, 2009; de Jong et al., 2000; Devreker et al., 1999; Fauser et al., 1999; Heijnen et al., 2007; Pelinck et al., 2007; Polinder et al., 2008; Van der Gaast et al., 2006; Verberg et al., 2008, 2009a,b). Gentle ovarian stimulation protocols use fewer injections of drugs, thus reducing pain from multiple daily injections and dramatically reducing drug costs (Sophonsritsuk et al., 2005). With conventional stimulation, patients tend to drop out from treatment cycles due to the inability to tolerate the pain from 2–3 weeks of daily drug injections and the cost component of the medications (Verberg et al., 2008).Mini-IVF is less expensive than conventional IVF for other reasons as well. With less follicles to aspirate and less eggs for the laboratory to manage, many more procedures can be performed with less effort and less cost (Check, 2007; Heijnen et al., 2007; Polinder et al., 2008; Teramoto and Kato 2007). The question is whether the already-demonstrated improvement in percentage of good-quality embryos with a mild stimulation protocol is sufficient to outweigh the larger number of embryos obtained with conventional stimulation (Devreker et al., 1999; Verberg et al., 2009a,b). The aim of the present study was to evaluate retrospectively the outcomes of patients who underwent Mini-IVF using clomiphene citrate and also to evaluate the efficacy of vitrification for embryo cryopreservation in such a programme. These study patients include women who underwent a mini-IVF protocol from 2006 to 2009 in New Hope Fertility Center, NY, USA. Clomiphene citrate 50 mg (Clomid; PAR Pharmaceutical, USA) was initiated orally each day, beginning on day 3 for ovarian stimulation and continued until the follicles were developed sufficiently for ovulation triggering. Subcutaneous administration of 150 IU human menopausal gonadotrophin (Menopur; Ferring Pharmaceuticals, Tarrytown, NY, USA) every 48 h was begun on day 5 or 8 depending on the day-3 FSH concentration. GnRHa (nasal spray, nafarelin acetate nasal solution 300 µg, Synarel; Pfizer, USA) was administered to trigger an endogenous LH surge for the final maturation of the oocytes. Maturation was triggered when the diameter of the dominant follicle reached up to 18 mm or more and the oestradiol concentration reached up to 300 µg/ml or more. Oocyte retrieval was performed under ultrasound guidance 32–34 h after the administration of GnRHa nasal spray. This study did not require review by an institutional review board as it involved the retroactive and anonymous review of medical records to which all patients had consented in writing. Two additional methods were used to avoid premature ovulation. Indometacin 50 mg (Indocin; Merck and Co, USA) was used on the day of GnRHa nasal spray for delaying ovulation without preventing LH induced maturation. Also if the LH concentration began to increase (only partially suppressed by clomiphene citrate), a tiny 8 µg dose of antagonist cetrorelix acetate (Cetrotide; ASTA Medica AG, Frankfurt am Main, Germany) was added in the morning. For vitrification the cryoprotectant solution was a combination of ethylene glycol and dimethyl sulphoxide (DMSO; cat. no. 90133; Irvine Scientific, Santa Ana, CA, USA). The detailed methodology has been well described previously (Al-Hasani et al., 2007; Antinori et al., 2007; Cobo et al., 2007; Homburg et al., 2008; Kagawa et al., 2007; Katayama et al., 2003; Kuwayama 2007; Kuwayama et al., 2005; Luyet and Hodapp 1938; Nagy et al., 2007; Polge et al., 1949; Selman et al., 2006; Stehlik et al., 2005; Vajta and Kuwayama, 2006; Vajta and Nagy, 2006; Yoon et al., 2007). Embryos were cryopreserved using vitrification if they reached the blastocyst stage by day 5 or day 6. The embryo was transferred initially into increasing concentrations of equilibration solution (7.5 mol/l ethylene glycol and 7.5% DMSO in 20% synthetic serum substitute (SSS)) for 10–15 min, followed by placement for less than a minute in vitrification solution (15 mol/l ethylene glycol and 15 mol/l DMSO in 20% SSS and 0.5 mol/l sucrose). The embryo was not left in a droplet. All excess fluid was removed by pipette from the Cryotop platform so that there was only a film of fluid surrounding it, in order to allow for the most rapid temperature drop. The embryo was then directly immersed into liquid nitrogen. The Cryotop containing the embryo was placed in a canister in the liquid nitrogen tank for storage. Blastocyst quality was assessed according to the criteria of Gardner and Schoolcraft (Gardner and Schoolcraft, 1999). In the warming step, embryos were placed in decreasing concentrations of sucrose solutions to remove the cryoprotectants. The Cryotops were rapidly plunged into a 37°C dish containing warming solution (1.0 mol/l sucrose). The embryos were then slowly introduced in a step-wise fashion to dilution solution (0.5 mol/l sucrose). A wash solution (0.0 mol/l sucrose) was slowly added to embryos in the dilution solution and the final rinse for the embryos was in a 100% wash solution (Kuwayama et al., 2005). Embryo transfers were performed under ultrasound guidance with a Teramoto catheter (Kitazato-Japan). For fresh embryo transfer cycles, a day-2 or day-3 embryo was transferred, while in cryopreserved transfer cycles, a day-5 or day-6 blastocyst was transferred in a natural cycle or a hormone replacement cycle. In the hormone replacement cycles, oestradiol 2 mg per day (Estrace; Watson Laboratories, USA) was started from cycle day3 and Crinone 8% (90 mg twice daily; Colombia Laboratories, USA) progesterone gel was added from cycle day 12. Single-embryo transfer was performed in all couples regardless of the age of the patient if a good-quality embryo was available. If one good embryo was not available, double-embryo transfer was performed. Good quality for day-2 and day-3 embryos was defined as grades 1 and 2 according to Veeck’s criteria (Scott et al., 1991). For day-5 and day-6 blastocysts, good quality was defined as being greater than 3AA in the criteria of Gardner and Schoolcraft (1999). Vitrified blastocysts were warmed and transferred in subsequent natural cycles 6 days after ovulation. Clinical pregnancy was confirmed by human chorionic gonadotrophin (HCG) concentration and ultrasound demonstrating fetal heartbeat. The patients were categorized based on female age, day-3 FSH concentrations (≤15 IU/l, >15 IU/l), the type of embryo transferred such as fresh day-3 embryo transfer or cryopreserved day-5 or day-6 embryo transfer. The day-3 FSH concentration over 15 IU/l was chosen arbitrarily as a cut-off between two levels of ovarian reserve. The total number of initiated cycles, cancelled cycles and embryo transfer cycles were calculated for both fresh and frozen embryo transfers. Pregnancy rates in each group were calculated. The statistical software package Graph pad InStat 3 was used for all data analysis. Categorical variables from fresh and cryopreserved transfer groups were analysed with two-tailed t-test and chi-squared test with Yate’s correction. A P-value <0.05 was considered significant. A total of 2516 patients (1580 patients with day-3 FSH ≤15 IU/l, 998 patients with day-3 FSH >15 IU/l) underwent IVF treatment using a mini-IVF protocol. A total of 2957 cycles were initiated with 2741 retrieval cycles, 577 fresh transfer cycles and 926 cryopreserved transfer cycles. A total of 496 pregnancies were achieved, of which 380 pregnancies were from cryopreserved embryo transfer. For day-3 FSH ≤15 IU/l and >15 IU/l, the average number of oocytes per retrieval was 2.3 ± 2.2 and 2.1 ± 2.1 (a very low number of oocytes). The rate of cancellation was low with an average of 6.8% with FSH ≤15 IU/l and 8.0% with FSH >15 IU/l (Tables 1 and 2). A total of 1503 transfers were performed from the 2957 initiated cycles (Tables 3–6). The average number of embryos transferred varied from 1.0 to 1.4 in patients with ages 41–45 years for all cycles, but rarely greater than just a single embryo. The overall clinical pregnancy rate was 33% for the 1503 transfers. This total included patients with FSH >15 IU/l aged 41 to over 45 years. The twin pregnancy rates per embryo transfer ranged from 0–2.1% in fresh cycles and 0–5.2% in cryopreserved cycles (Tables 3–6). There were no triplet or higher multiple pregnancies. The clinical pregnancy rate was better with vitrified–warmed embryo transfer cycles than with fresh embryo transfer cycles (41% versus 20%; P < 0.05). The FSH concentration did not have a significant effect on pregnancy rate per transfer in fresh and cryopreserved cycles (Tables 3–6). There were 981 warming cycles out of which only 55 cycles were cancelled (5.6%). All vitrified–warmed transfers were with blastocysts. There were no pregnancies with triplets or more (Tables 5 and 6). Results were compared in patients with day-3 FSH ≤15 IU/l or >15 IU/l and in patients of increasing age, in both fresh and cryopreserved transfers. For women under 35 years of age and FSH ≤15 IU/l for fresh embryo transfers, the pregnancy rate per embryo transfer was 26.8% (Table 3) and for cryopreserved embryos, the pregnancy rate per embryo transfer was 47.7% (Table 5; P < 0.05). Interestingly, even for FSH >15 IU/l, the pregnancy rate for women under 35 years of age was 52.6% (Table 6) and for those with FSH >15 IU/l and over 40 years of age, the pregnancy rate per cryopreserved blastocyst transfer was an encouragingly high 30.8%. It should be noted that all fresh transfers were cleavage-stage embryos and all cryopreserved transfers were blastocysts. It is also of interest to note the percentage of embryos that developed to blastocysts. Conversion to blastocyst stage is skewed lower by the fact that the single best cleavage-stage embryo was transferred fresh on day 2 or 3 and only any extra embryos (if there were any) were cultured on to blastocyst stage and cryopreserved (Tables 7 and 8). An average of 60% of eggs cleaved to day-3 embryos with day-3 FSH ≤15 IU/l and age <38 years. Of those, 62% developed to blastocysts. Thus, about 33.4% of eggs developed to blastocysts with the mini-IVF protocol. More surprisingly, with FSH >15 IU/l, 71–100% of eggs cleaved to day-3 embryos in the age groups from <35 to 41–42 years (Table 8). About 50% of those in the age groups from <35 to 38–40 years developed to blastocyst stage. The FSH concentration did not have a significant effect on the cleavage rate. For the cleavage rate to day-3 embryos, there were no significant differences except with the age groups 35–37 and 41–42 years (Tables 7 and 8; P < 0.05). For the cleavage rate to blastocysts, no significant differences were seen in each age group (Tables 7 and 8). Although results declined with increasing age, when eggs were obtained in older women, however few, there was an unexpectedly high blastocyst conversion rate. Gentle ovarian stimulation protocols were developed for patients desiring a less stressful and less expensive mode of IVF treatment to achieve a pregnancy. The question is whether such a protocol has acceptable pregnancy rates. The concept of the mini-IVF protocol described here is based on the continued secretion of FSH by abolishing the negative feedback of oestradiol on the pituitary with clomiphene citrate. For this purpose, a small dose of oral clomiphene citrate was initiated from day 3 continuously (not just 5 days) and subcutaneous administration of 150 IU of FSH every other day was begun on day 5 or 8 until the follicles had developed sufficiently for ovulation, as shown by serial sonograms and oestradiol concentrations. In this way, not only is the pituitary stimulated to release FSH for longer, but also the LH surge is inhibited by the same competitive oestrogen-blocking mechanism, thus suppressing premature ovulation (Teramoto and Kato, 2007). Although a mini-IVF protocol is easier, safer and less expensive than standard conventional IVF protocols (Zhang et al., 2005), the question is whether it has an adequate success rate. In other words, is it really possible to achieve pregnancy rates with retrieval of only two or three eggs with mini-IVF that are comparable to what can be achieved with 10–20 eggs using conventional stimulation protocols? The answer appears to be yes. To answer this question definitively would require a randomized controlled trial. However, it is well established that with gentle ovarian stimulation, there is a greater percentage of good-quality eggs (although a smaller number) than with higher-dose conventional stimulation (Verberg et al., 2009a,b). But can this concept translate into favourable results with gentle stimulation IVF protocol compared with general expectations? Again, the answer is yes. The next question is whether obtaining a smaller number of better quality eggs at lower cost can increase pregnancy results with older women, and again, the answer is yes. The use of clomiphene citrate to induce ovulation for anovulatory women was discovered more than 60 years ago and was the first-line treatment for women with absent or irregular ovulation due to hypothalamic pituitary dysfunction (Greenblatt et al., 1961). Clomiphene citrate contains an unequal mixture of two isomers, enclomiphene and zuclomiphene, as citrate salts. Zuclomiphene is potent for inducing ovulation and has a longer half-life than enclomiphene. Clomiphene citrate increases FSH release from the anterior pituitary and this is often enough to set into motion the cycle of events leading to ovulation. Furthermore, the premature LH surge can be controlled by continued administration of clomiphene citrate for more than 5 days (Teramoto and Kato, 2007). The anti-oestrogenic action of clomiphene citrate can usually inhibit the LH surge regardless of the elevation of oestradiol concentration until the day before triggering the final maturation of the oocyte. There are exceptions to this where sometimes, despite the anti-oestrogenic effect of clomiphene citrate, a premature LH release overrides this effect of clomiphene citrate and causes cycle cancellation. Endogenous LH surge and premature ovulation had accounted for cancelled cycles in the early use of this protocol. This problem is solved in two ways: low-dose gonadotrophin-releasing hormone antagonist if LH begins to rise and routine use of indometacin. Conventional IVF and intrauterine insemination use HCG from the human placenta or synthetic HCG for triggering of ovulation prior to egg retrieval. Since HCG has a much longer half-life (3–7 days) than LH, it stays longer in the body and it stimulates immature follicles which might then be recycled and become cysts in the following cycle. A large amount of HCG is required for triggering the ovulation, typically 10,000 IU, which is equivalent or double the amount of total gonadotrophins that a patient typically receives in a conventional daily injection protocol. In IVF treatment with clomiphene citrate, HCG is not used for triggering the final oocyte maturation and ovulation, but rather a simple nasal spray of GnRHa or an equivalent GnRHa is sufficient to produce an LH surge and subsequent oocyte maturation. There are many reasons for using GnRHa to trigger ovulation. It stimulates the pituitary to produce a more natural surge of LH and is potent enough to induce maturation in larger follicles. Its half-life is short and so it never stimulates small follicles. This allows the body to preserve those smaller follicles for upcoming cycles, rather than stimulate them prematurely, and allows women to cycle repeatedly without taking breaks. This is especially advantageous for older patients having limited ovarian reserve. Avoiding the use of HCG also reduces the incidence of ovarian hyperstimulation syndrome (OHSS). Comparable or better results have been reported on metaphase ll oocyte quality and luteal function when GnRHa was used for triggering rather than HCG (Emperaire et al., 1992; Gerris and DeVits, 1995; Griesinger et al., 2006; Humaidan et al., 2005). All these reasons favour the use of GnRHa over the conventional use of HCG for triggering egg maturation. The reliance on continuous clomiphene citrate, with its negative impact on the endometrium, required a simplified, cheap, reliable method for embryo cryopreservation, for which the study centre chose the Kuwayama method of vitrification (Kuwayama et al., 2005). The vitrification protocol was developed to overcome the deleterious effects of ice crystal formation that occurs during the slow-freezing method. Vitrification is the solidification of solution at low temperature, not by ice crystallization but by extreme elevation in viscosity during very rapid cooling (Fahy et al., 1984). With conventional slow freezing, the temperature is gradually dropped -0.3°C per minute to create preferential crystal formation outside the cell. But this approach only reduces the cellular water content from 70% to 30%; there is still ice crystal formation. In vitrification, the temperature drop is -23,000°C per minute and there is no ice crystal formation whatsoever. So vitrification depends on a faster cooling rate with a higher viscosity of cryoprotectant and a minuscule cryosolution volume to get the most rapid temperature drop and prevent ice crystal formation inside and outside the cytoplasm of the cell (Al-Hasani et al., 2007; Antinori et al., 2007; Arav et al., 2002; Choi et al., 2000; Cobo et al., 2007; Hiraoka et al., 2004; Homburg et al., 2008; Huang et al., 2005; Kagawa et al., 2007; Kagawa et al., 2009; Kasai et al., 2002; Katayama et al., 2003; Kuwayama, 2007; Kuwayama et al., 2005; Liebermann et al., 2002; Luyet and Hodapp, 1938; Mukaida et al., 2001; Nagy et al., 2007; Polge et al., 1949; Rall, 1987; Reed et al., 2002; Selman et al., 2006; Silber et al., in press; Son et al., 2003; Stehlik et al., 2005; Vajta and Kuwayama, 2006; Vanderzwalmen et al., 2002; Vajta and Nagy, 2006; Yokota et al., 2000; Yoon et al., 2007). Vitrification is a more secure method of cryopreservation and thus increases the possibility of using a single-embryo transfer protocol, because there is no urge from the patient to transfer more than one embryo for fear that her results with fresh embryos will be better than with cryopreserved (Al-Hasani et al., 2007). It cannot be inferred from the dramatically higher pregnancy rate with cryopreserved as compared with fresh transfers (41% versus 20%) in this retrospective report that cryopreserved transfer is better than fresh, because the best cleavage-stage embryo was transferred first and cryopreserved transfers were all with blastocysts. So one could argue either way, that the best cleavage-stage embryos were transferred fresh and so should give the highest pregnancy rate or that blastocysts should give the higher pregnancy rate. This study will not resolve the question of whether fresh or cryopreserved transfer is better. However, it is theoretically likely that a better endometrial receptivity can nonetheless be expected with a cryopreserved transfer and that a high overall pregnancy rate with single-embryo transfer and this protocol requires excellent cryopreservation. Mini-IVF reduces the health risks caused by OHSS, a common and potentially fatal side effect of conventional stimulation, and it avoids pain from multiple injections of fertility drugs (Zhang et al., 2005). The use of fewer drugs also reduces the cost. In mini-IVF, there is a very low drop-out rate during treatment because it is easy on the patient (Verberg et al., 2009a,b). The present study observed no multiple pregnancies either in fresh and cryopreserved embryo transfer cycles. The range of twin pregnancy was only 0–2.1% in fresh cycles and 0–5.2% in cryopreserved cycles. It has been well established that maximal ovarian stimulation, which produces large numbers of eggs, results in a lower percentage of good-quality eggs (defined as implantation rate per egg) than gentle ovarian stimulation which produces fewer eggs (Collins 2009; Verberg et al., 2009a,b). This does not mean that patients with lower ovarian reserve, who therefore produce fewer eggs, have a higher percentage of good-quality eggs than patients with high ovarian reserve. It also does not mean that gentle ovarian stimulation produces more good-quality eggs than maximal or conventional stimulation. Verberg et al. (2009a) have shown simply that a high ovarian reserve results in more good-quality eggs and that mild stimulation produces a dramatically higher percentage of good-quality eggs and less poor-quality eggs. So the advantage of mini-IVF is that a small number of eggs are retrieved with minimal pain and minimal cost with no complications that have high implantation potential (Verberg et al., 2009a). It does not imply that having an intrinsically low ovarian reserve is beneficial. It is difficult to evaluate this study’s pregnancy rates in comparison to conventional stimulation reports because almost all of the transfers were single-embryo transfer and some were fresh and others cryopreserved. Furthermore, the study centre tends to attract many older patients with low ovarian reserve for whom treatment is not denied nor cycles cancelled. Patient selection has a great influence on determining the success of an IVF practice, the age and ovarian reserve being the most important determinants of success. Many IVF centres decline treatment for women over 40 years of age or with high day-3 FSH values (Lenton et al., 1988; Muasher et al., 1988). El-Toukhy et al. (2002) reported that high FSH represents reduced ovarian reserve, poor quality of eggs and high chances of miscarriage (Kojima et al., 2008). In many IVF centres, it is a common practice to consider the day-3 FSH value as an end marker for the patient selection procedure. Most centres hold a day-3 FSH value of 10–15 IU/l as the upper limit to decide whether to provide IVF treatment or not, since one of the large-scale studies evaluated a day-3 FSH ≥15 IU/l and demonstrated a decrease in pregnancy rate (Scott et al., 1989). Many patients having high day-3 FSH are denied IVF treatment quoting reduced ovarian reserve and low success rate. In this study, treatment was not denied on the basis of age or day-3 FSH value. Obviously, providing treatments to these patients drastically reduces the overall outcome of IVF results. From the current study, the high base-line FSH concentration that is usually observed with older women due to lower ovarian reserve simply indicates the need for a mini-IVF protocol with no down-regulation and banking of embryos with back-to-back cycles. Thus pregnancies were achieved in a subgroup of patients whose day-3 FSH value is >15 IU/l that would usually be denied IVF treatment. Hence, mini-IVF may be the preferred method for low-prognosis cases, as well as for the easier cases of younger women with normal ovarian reserve. In conclusion, this study has attempted to analyse retrospectively the results of a mini-IVF protocol. Favourable pregnancy rates can be achieved using mini-IVF with vitrification, avoiding high drug costs and complications like OHSS. The success of medical treatment depends on providing adequate, cost-effective and safer treatment for patients. Gentle stimulation protocols such as mini-IVF may thus be a better treatment option for many infertile women. The authors wish to thank all the patients who participated in this study, the entire staff at New Hope Fertility Center New York, and Sharon Fuller for her assistance in preparation of this manuscript. Al-Hasani, S., Ozmen, B., Koutlaki, N., Schoepper, B., Diedrich, K., Schultze-Mosgau, A., 2007. Three years of routine vitrification of human zygotes: is it still fair to advocate slow-rate freezing? Reprod. Biomed. Online 14, 288–293. Antinori, M., Licata, E., Dani, G., Cerusico, F., Versaci, C., Antinori, S., 2007. Cryotop vitrification of human oocytes results in high survival rate and healthy deliveries. Reprod. Biomed. Online 14, 72–79. Arav, A., Yavin, S., Zeron, Y., Natan, D., Dekel, I., Gacitua, H., 2002. New trends in gamete’s cryopreservation. Mol. Cell. Endocrinol. 2, 77–81. Baart, E.B., Martini, E., Eijkemans, M.J., et al., 2007. Milder ovarian stimulation for in-vitro fertilization reduces aneuploidy in human preimplantation embryo: a randomized controlled trial. Hum. Reprod. 22, 980–988. Check, J.H., 2007. Mild ovarian stimulation. J. Assist. Reprod. Genet. 24, 621–627. Choi, D.H., Chung, H.M., Lim, J.M., Ko, J.J., Yoon, T.K., Cha, K.Y., 2000. Pregnancy and delivery of healthy infants developed from vitrified blastocysts in an IVF-ET program. Fertil. Steril. 74, 838–839. Cobo, A., Kuwayama, M., Perez, S., Ruiz, A., Pellicer, A., Remohi, J., 2007. Comparison of concomitant outcome achieved with fresh and cryopreserved donor oocytes vitrified by the Cryotop method. Fertil. Steril. 89, 1657–1664. Collins, J., 2009. Mild stimulation for in vitro fertilization: making progress downward. Hum. Reprod. Update 15, 103.
de Jong, D., Macklon, N.S., Fauser, B.C.J.M., 2000. A pilot study involving minimal ovarian stimulation for in vitro fertilization: extending the ‘follicle-stimulating hormone window’ combined with the gonadotropin-releasing hormone antagonist cetrorelix. Fertil. Steril. 73, 1051–1054. Devreker, F., Pogonici, E., DeMaertelaer, V., Revelard, P., Vanden Bergh, M., Englert, Y., 1999. Selection of good embryos for transfer depends on embryo cohort size: implications for the ‘mild ovarian stimulation’ debate. Hum. Reprod. 14, 3002–3008. El-Toukhy, T., Khalaf, Y., Hart, R., Taylor, A., Braude, P., 2002. Young age does not protect against the adverse effects of reduced ovarian reserve––an eight year study. Hum. Reprod. 17, 1519–1524. Emperaire, J.C., Ruffie, A., Audebert, A.J., 1992. Ovulation induction by endogenous LH released by the administration of an LHRH agonist after follicular stimulation for in vitro fertilization. J. Gynecol. Obstet. Biol. Reprod. 21, 489–494. Fahy, G.M., MacFarlane, D.R., Angell, C.A., Meryman, H.T., 1984. Vitrification as an approach to cryopreservation. Cryobiology 21, 407–426. Fauser, B.C.J.M., Devroey, P., Yen, S.S.Y., et al., 1999. Hum. Reprod. 14, 2681–2686. Gardner, D.K., Schoolcraft, W.B., 1999. In-vitro culture of human blastocysts. In: Jansen, R., Mortimer, D. (Eds. ), Towards Reproductive Certainty: Fertility and Genetics Beyond. Parthenon Press, Carnforth, pp. 378–388. Gerris, J., DeVits, A.M., 1995. Triggering of ovulation in human menopausal gonadotrophin-stimulated cycles: comparison between intravenously administered gonadotrophin-releasing hormone (100 and 500 lg), GnRH agonist (buserelin, 500 lg) and human chorionic gonadotrophin (10,000 IU). Hum. Reprod. 10, 56–62. Greenblatt, R.B., Bafrield, W.E., Jungck, E.C., Ray, A.W., 1961. Induction of ovulation with MRL/41. Preliminary report. J. Am. Med. Assoc. 178, 101–104. Griesinger, G., Diedrich, K., Devroey, P., 2006. GnRH agonist for triggering final oocyte maturation in the GnRH antagonist ovarian hyperstimulation protocol: a systematic review and meta-analysis. Hum. Reprod. Update 12, 159–168. Heijnen, E.M., Eijkemans, M.J., De Klerk, C., et al., 2007. A mild treatment strategy for in-vitro fertilisation: a randomised non-inferiority trial. Lancet 369, 743–749. Hiraoka, K., Hiraoka, K., Kinutani, M., 2004. Case report: successful pregnancy after vitrification of a human blastocyst that had completely escaped from the zona pellucida on day 6. Hum. Reprod. 19, 988–990. Homburg, R., van der Veen, F., Silber, S.J., 2008. Oocyte vitrification– Women’s emancipation set in stone. Fertil. Steril. 91, 1319–1320. Huang, C.C., Lee, T.H., Chen, S.U., 2005. Successful pregnancy following blastocyst cryopreservation using super-cooling ultra-rapid vitrification. Hum. Reprod. 20, 122–128. Humaidan, P., Ejdru, H., Bredkjar, P., Bungum, L., 2005. GnRH agonist (buserelin) or hCG for ovulation induction in GnRH antagonist IVF/ICSI cycles: a prospective randomized study. Hum. Reprod. 20, 1213–1220. Kagawa, N., Kuwayama, M., Nakata, K., et al., 2007. Production of first offspring from oocytes derived from fresh and cryopreserved pre-antral follicles of adult mice. Reprod. Biomed. Online 14, 693–699. Kagawa, N., Silber, S., Kuwayama, M., 2009. Successful vitrification of bovine and human ovarian tissue. Reprod. Biomed. Online 18, 568–577. Kasai, M., Ito, K., Edashige, K., 2002. Morphological appearance of the cryopreserved mouse blastocyst as a tool to identify the type of cryoinjury. Hum. Reprod. 17, 1863–1874. Katayama, K.P., Stehlik, J., Juwayama, M., Kato, O., Stehlik, E., 2003. High survival rate of vitrified human oocytes results in clinical pregnancy. Fertil. Steril. 80, 223–224. Kojima, R., Nakagawa, K., Nakashima, A., Horikawa, T., Ohgi, S., Saito, H., 2008. Elevated basal FSH levels, if it is under 15 IU/L, will not reflect poor ART outcomes. J. Assist. Reprod. Genet. 25, 73–77. Kuwayama, M., 2007. Highly efficient vitrification for cryopreservation of human oocytes and embryos: the Cryotop method. Theriogenology 67, 73–80. Kuwayama, M., Vajta, G., Kato, O., Leibo, S.L., 2005. Highly efficient vitrification method for cryopreservation of human oocytes. Reprod. Biomed. Online 11, 300–308. Lenton, E.A., Sexton, L., Lee, S., Cooke, I.D., 1988. Progressive changes in LH and FSH and LH: FSH ratio in women throughout reproductive life. Maturitas 10, 35–43. Liebermann, J., Nawroth, F., Isachenko, V., Isachenko, E., Rahimi, G., Tucker, M.J., 2002. Potential importance of vitrification in reproductive medicine. Biol. Reprod. 67, 1671–1680. Luyet, B.J., Hodapp, R., 1938. Revival of frog spermatozoa vitrified in liquid air. Proc. Soc. Exp. Biol. NY 39, 433–434. Muasher, S.J., Oehninger, S., Simonetti, S., et al., 1988. The value of basal and/or stimulated serum gonadotropin levels in prediction of stimulation response and in vitro fertilization outcome. Fertil. Steril. 50, 298–307. Mukaida, T., Nakamura, S., Tomiyama, T., Wada, S., Kasai, M., Takahashi, K., 2001. Successful birth after transfer of vitrified human blastocysts with use of a cryoloop containerless technique. Fertil. Steril. 76, 618–620. Nagy, Z.P., Chang, C.-C., Shapiro, D., Elsner, C., Mitchell-Leef, D., Kort, H., 2007. Clinical evaluation of the efficiency of oocyte donation program using egg cryo-banking. Fertil. Steril. 88 (Suppl. 1), 42, abstract O–112. Pelinck, M.J., Vogel, N.E.A., Arts, E.G.J.M., Simons, A.H.M., Heineman, M.J., Hoek, A., 2007. Cumulative pregnancy rates after maximum of nine cycles of modified natural cycle IVF and analysis of patient drop-out: a cohort study. Hum. Reprod. 22, 2463–2470. Polge, C., Smith, A.Y., Parkes, A.S., 1949. Revival of spermatozoa after vitrification and dehydration at low temperatures. Nature 164, 666. Polinder, S., Heijnen, E.M.E.W., Macklon, N.S., Habbema, J.D.F., Fauser, B.J.C.M., Eijkemans, M.J.C., 2008. Cost-effectiveness of a mild compared with a standard strategy for IVF: a randomized comparison using cumulative term live birth as the primary endpoint. Hum. Reprod. 23, 316–323. Rall, W.F., 1987. Factors affecting the survival of mouse embryos cryopreserved by vitrification. Cryobiology 24, 387–402. Reed, M.L., Lane, M., Gardner, D.K., Jensen, N.L., Thompson, J., 2002. Vitrification of human blastocysts using the cryoloop method: successful clinical application and birth of offspring. J. Assist. Reprod. Genet. 19, 304–306. Scott, R.T., Toner, J.P., Muasher, S.J., et al., 1989. Follicle stimulating hormone levels on cycle day 3 are predictive of in vitro fertilization outcome. Fertil. Steril. 51, 651–654. Scott, R.T., Hofmann, G.E., Veeck, L.L., Jones, Jr.H.W., Muasher, S.J., 1991. Embryo quality and pregnancy rates in patients attempting pregnancy through in vitro fertilization. Fertil. Steril. 55, 426–428. Selman, H., Angelini, A., Barnocchi, N., Brusco, G.F., Pacchiarotti, A., Aragona, C., 2006. Ongoing pregnancies after vitrification of human oocytes using a combined solution of ethylene glycol and dimethyl sulfoxide. Fertil. Steril. 86, 997–1000. Silber, S., Kagawa, N., Kuwayama, M., Gosden, G., in press. Duration of fertility after fresh and frozen ovary transplantation. Fertil. Steril., on web February 19, 2010. Son, W.Y., Yoon, S.H., Yoon, H.J., Lee, S.M., Lim, J.H., 2003. Pregnancy outcome following transfer of human blastocysts vitrified on electron microscopy grids after induced collapse of the blastocoele. Hum. Reprod. 18, 137–139. Sophonsritsuk, A., Choktanasiri, W., Weerakiet, S., Rojanasakul, A., 2005. Comparison of outcomes and direct cost between minimal stimulation and conventional protocols on ovarian stimulation in in vitro fertilization. J. Obstet. Gynaecol. Res. 31, 459– 463. Stehlik, E., Stehlik, J., Katayama, K.P., Kuwayana, M., Jambor, V., Brohammer, R., et al., 2005. Vitrification demonstrates significant improvement versus slow freezing of human blastocysts. Reprod. Biomed. Online 11, 53–57. Teramoto, S., Kato, O., 2007. Minimal ovarian stimulation with clomiphene citrate: a large-scale retrospective study. Reprod. Biomed. Online 15, 134–148. Vajta, G., Kuwayama, M., 2006. Improving cryopreservation systems. Theriogeology 65, 236–244. Van der Gaast, M.H., Eijkemans, M.J.C., van der Net, J.B., Boer, E.J., Burger, C.W., van Leeuwen, F.E., Fauser, B.C.J.M., Macklon, N.S., 2006. Optimum number of oocytes for a successful first IVF treatment cycle. Reprod. Biomed. Online 13, 476–480. Vanderzwalmen, P., Bertin, G., Debauche, Ch., Standaert, V., et al., 2002. Births after vitrification at morula and blastocyst stages: effect of artificial reduction of the blastocoelic cavity before vitrification. Hum. Reprod. 17, 744–751. Verberg, M.F., Eijkemans, M.J., Macklon, N.S., et al., 2009a. The clinical significance of the retrieval of a low number of oocytes following mild ovarian stimulation for IVF: a meta-analysis. Hum. Reprod. Update 15, 5–120. Verberg, M.F., Macklon, N.S., Nargund, G., et al., 2009b. Mild ovarian stimulation for IVF. Hum. Reprod. Update 15, 13–29. Verberg, M.F., Eijkemans, M.J., Heijnen, E.M., et al., 2008. Why do couples drop-out from IVF treatment? A prospective cohort study. Hum. Reprod. 23, 2050–2055. Yokota, Y., Sato, S., Yokota, M., et al., 2000. Successful pregnancy following blastocyst vitrification. Hum. Reprod. 15, 1802– 1803. Yoon, T.K., Lee, D.R., Cha, S.K., Chung, H.M., Lee, W.S., Cha, K.Y., 2007. Survival rate of human oocytes and pregnancy outcome after vitrification using slush nitrogen in assisted reproductive technologies. Fertil. Steril. 88, 952–956. Zhang, J., Grifo, J.A., Del Priore, G., 2005. Gestational carrier pregnancy with oocytes obtained during surgery for stage IIIc ovarian cancer after controlled ovarian stimulation. Fertil. Steril. 83, 1547–1549.